In the inaugural instalment of our World CryptoMap series, we found out why Australia was called the “cryptocontinent”. This time, we're going to take a look at Japan. 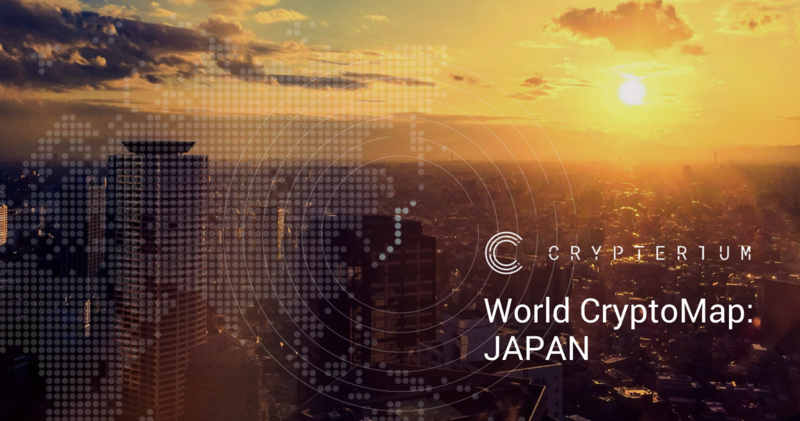 As you might know, the latest update to Crypterium App brings along the Japanese yen as an available currency; we see it as a perfect opportunity to tell you more about the technologically advanced nation that is welcoming towards Bitcoin and other cryptocurrencies, yet is rather strict when it comes to regulations. Japan was the first country to recognize digital currencies as money, paving the way for the development of the crypto industry within the country and setting the bar for the rest of the world. According to the document published by the Japanese Financial Services Agency in March 2018, the country currently has at least 3.5 million individuals trading cryptocurrencies as assets, while over 140,000 people invest in cryptocurrency margins and futures. The majority of crypto investors are aged 20 to 50, with the ones in their 30s prevailing (34% of the total number). The leading cryptocurrencies by trading volume across Japanese crypto exchanges are BTC, ETH, XRP, BCH and LTC. Bitcoin's yearly trading volume in Japan grew about 4400 times over the 2014–2017 period ($22 million to $97 billion); Bitcoin margins and futures trading showcased an even more impressive surge, skyrocketing from just $2 million in 2014 to a mind-boggling $543 billion in 2017.